If you have any questions or want to enquire about dates, use our form to contact Christa & Del Dobson or see their website for more information. 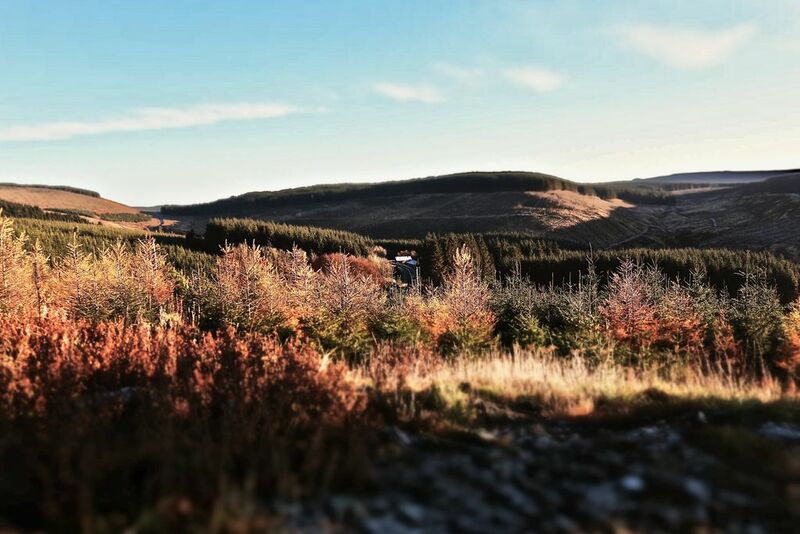 Twist through woodlands to this remote retreat high in the hills away from the hustle and bustle. Your cosy Alpine-style suite has its own entrance in a glorious off-grid cottage with solar panels and its own fresh spring water. Take a deep breath out, light the candles, laze in the hot tub and look up at the stars… romantics will be happy and a mountain feast of a breakfast is delivered through a secret door each morning. Head out into glorious countryside with a picnic or hop in the car to find good places to eat within a 20-minute drive. 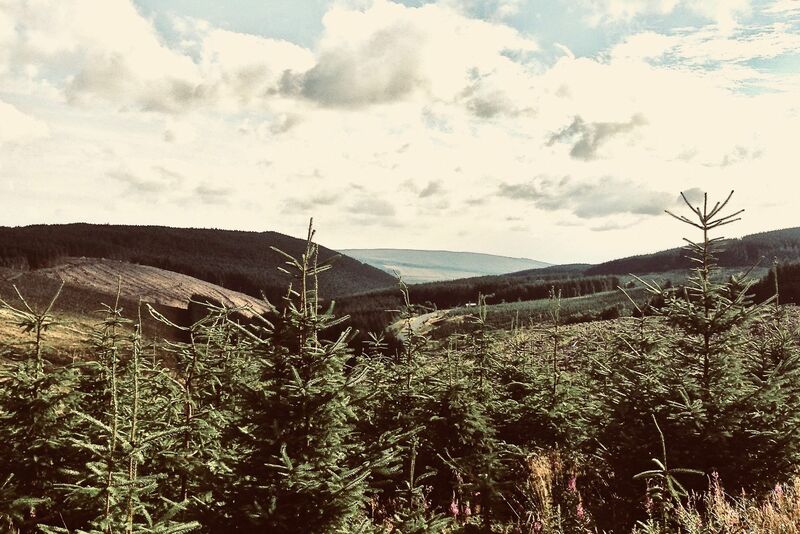 Browse Christa and Del’s Alpine lifestyle shop, or venture down to Hawick (15 miles) for cashmere – though awe-inspiring walks and wildlife are on your doorstep, and Kielder Water and Forest Park, with its astronomical observatory, is less than ten miles away. Packed lunch included by prior arrangement (voluntary contribution to the Landscaping fund). Pub 6 miles. Singdean is the perfect hideaway. Christa and Del manage that tricky combination of informal efficiency. Just about everything has been thought of to make a stay special. We particularly appreciated the amazing silent fridge as we've turned bedroom fridges off around the world! We stayed in the original Alpine "cabin" - small but cozy. The new "chalet" looks spectacular. Good walks (especially for the dog) nearby; Kielder Water just across the border and (if you're lucky) clear skies to stargaze from the hot tub. All this and it's "off-grid" too! A truly unique experience and B&B run by wonderful hosts Christa and Del. Singdean is perfect for couples looking to escape from it all with all the alpine luxury you could ask for. The hot tub under the stars and sauna are amazing, the breakfasts delicious and the setting breathtaking. We can not recommend Singdean highly enough - we will be back! My husband and I stayed at Singdean for five nights to celebrate a significant birthday. Del and Christa are warm, welcoming hosts and have created a luxurious alpine retreat, which is lovingly 'in tune' with the beautiful countryside. Every day started with a delicious breakfast and coffee and ended with a sauna and hot tub lovingly prepared by Del. Needless to say things don't come much better than this! What a find! 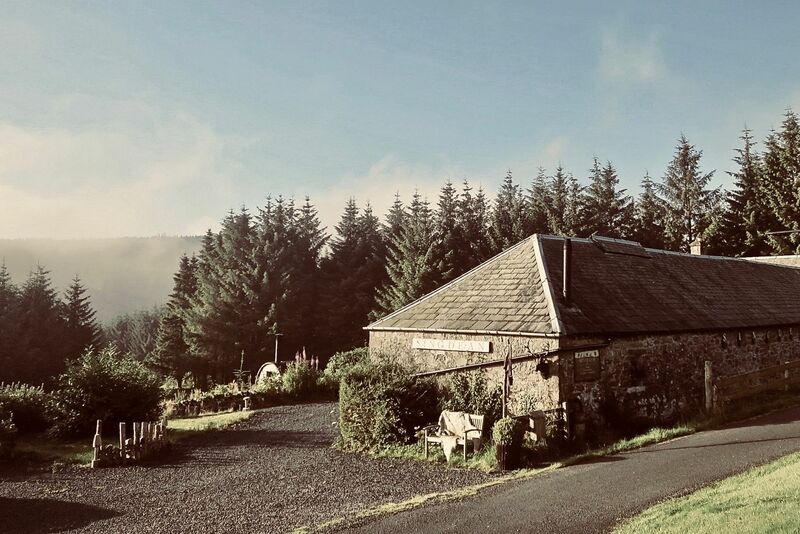 Singdean is a perfect gem of a place- a fabulous retreat from urban hustle and bustle, to a small but perfectly formed oasis of comfort and tranquillity. Christa and Del provide a warm and hospitable welcome and have created a wonderful sensory experience for their guests, from the snuggly duvets to the alpine scented candles and diffusers in the room. Sit and enjoy excellent coffee and listen to the birdsong. Luxuriate in the hot tub looking at the beautiful view. Wonder at the stars in the huge sky, with no light pollution. Fabulous breakfast provided too...loved it . An absolute delight. We stayed for 3 nights and by the second night I felt as if I had lost something only to realise that the stresses and strains (mental and physical) of daily life had vanished!. I had a lightness of mind. The sauna is especially healing. Thank you Christa and Del for creating this special place. Singdean is an incredibly special place. The attention to detail is amazing, Christa and Del are wonderful hosts and nothing was too much trouble. The room itself is beautifully furnished, smells amazing and the bed is the most comfortable I've ever slept in. Sitting in the hot tub under a sky full of stars with a bottle of champagne is something I will remember for a very long time. The breakfast was also absolutely exceptional. I cannot recommend this place highly enough. We stayed for 2 nights in what must be one of the UK,s most stunning places to stay. The closest match we can think of is The Inner Sanctum at the Witchery in Edinburgh - they have Edinburgh outside the door, Singdean has your own beautiful private sauna and hot tub. The owners are charming and friendly and so helpful without being intrusive. The breakfast was divine. There is a bit of us that wants this to remain a hidden gem for those in the know but Singdean and its creators deserve a reputation and business that earns them a life worth living. Singdean is like a piece of heaven. The most wonderful collection of luxuries and treats all in one location. No matter what colour the skies are outside, Singdean will leave you rested, happy and calm. Absolutely love it. Thank You for our wonderful time with you. The location of Singdean is beautiful and is wonderfully remote. A perfect getaway! Christa and Del are fantastic hosts. The food was great, the bed was really comfortable and we honestly felt we were tucked away in the alps. The view from the hot tub topped our visit off. We saw so much wildlife and the walks were beautiful. We will definitely be back. Wildlife, peat bogs, moorland, streams, waterfalls and forests surround you; the house is positioned in the Cheviot Hills in the Scottish Borders, close to Northumberland. You’re 20 minutes’ drive from Hawick or Jedburgh for shopping and plenty of good places to eat. Private outdoor eco wood fired sauna and hot tub just for you both, you don't have to share. But don't worry, you don't have to stoke the fire yourself. It's all done for you so all you have to do is relax. We are dog friendly. There are many beautiful local walks to enjoy. You rarely see anyone else, you are more likely to see deer. No light pollution at Singdean, situated in Dark Skies with Kielder Observatory nearby. Kielder Water and forest park for mountain biking and watersports. Many castles & historic homes nearby. Also Hawick, home of cashmere. Many hours can pass by just watching all the birds - from tiny wrens to Buzzards, and watching the vole avoid the comical stoat. Night time silence is sometimes broken with the call of the resident tawny owls. Alpine Lifestyle shop at Singdean. where you can even shop in your jimjams if you wish! Christa and Del live in the cottage with their dogs, Milka and Alpi, and chose Singdean - after a year and a half of searching - because of its alpine feel. Christa, whose mother and her family originate from the Alps, has a deep-rooted knowledge and passion for mountain life. They feel lucky to call Singdean home and hope that you feel the same enchantment as they do when you stay here.